Amy Besa, renowned Filipino food advocate, author and restaurateur behind the acclaimed Cendrillion and Purple Yam restaurants takes center stage on August 30, Saturday, 9am-1pm at The Maya Kitchen. Besa will share her culinary discoveries from all over the Philippines from the seemingly common dish of Ukoy to the delightfully unheard of technique of Kulawo. Besa will demonstrate Kulawong Talong (burnt coconut cream over grilled eggplant); Kinagang (buko, crabmeat, sliced scallions and lemongrass wrapped in banana leaf and steamed); Ukoy (deep fried fritter of shrimp, cabbage, carrots, snowpeas, leeks and bean sprouts); Beef Shortribs Adobo (beef short ribs braised in mango vinegar from Abra with fresh kakang gata or coconut cream added to sweeten and thicken the sauce); Steamed Organic Red Rice from Oriental Mindoro and Pinipig Cookie (the Philippine version of rice crispies baked into flavorful cookies). Besa and her husband Chef Romy Dorotan are mainstays of New York’s culinary scene with their famous Manhattan restaurant Cendrillon and later on Purple Yam in Brooklyn. They are also the authors of the book Memories of Philippine Kitchens which won the International Association of Culinary Professionals (IACP) 2007 Jane Grigson Award for scholarship in the quality of its research and writing and was also a finalist for the Julia Child First Book Award. 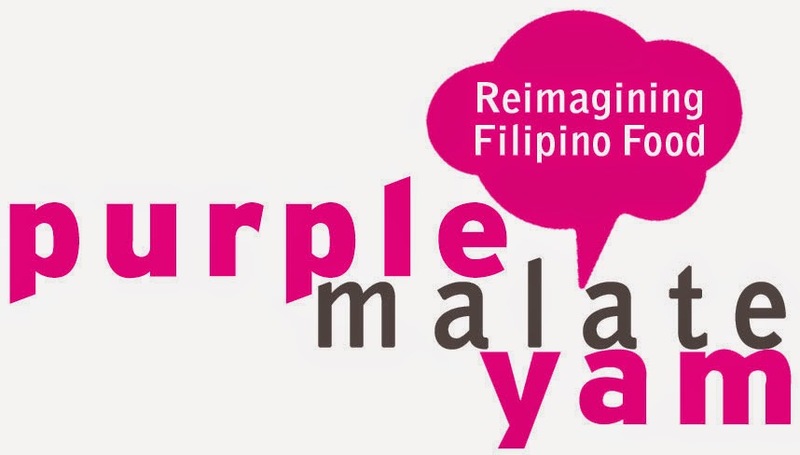 The couple has recently decided to bring a taste of Purple Yam back home to their ancestral house at 603 Nakpil corner Bocobo Streets, Malate, Manila. The place is open only for reservations (telephone: 523-3497 and mobile: 0926-713-3523). Chef Romy takes care of the Brooklyn spot while Amy is in charge of Malate.